Stain clothing or hands pasta from a ballpoint pen simply. It is much harder to cope with the pollution, especially if there is no tap water and soap. If trouble occurs on the road, to remove contamination materials at hand. If you have a smudge of toothpaste from a ballpoint pen, for example, due to the fact that she emerged from the terminal in hot weather, you can remove dirt using wet wipes containing alcohol. Ideal for the wipes for cleaning monitors. Fresh stains can be easily removed from all surfaces and skin. To do this, simply RUB the space pollution. Nothing further their process is not necessary. If you don't have a tissue, moisten the textile, paper handkerchief or cotton pad with eau de Cologne or toilet water and carefully wipe all the dirt. If you are in the office or at home, the pollution from ballpoint pens lather with soap and rinse with warm water. If at first you don't succeed to remove all the stains, then again lather seats dirt and rinse with water. You can also use medical, denatured alcohol or plain vodka. Moisten sponge or cotton pad, carefully wipe all dirt from a ballpoint pen. If you have cleaned the fabric, after removal of stains wash it in the usual way. Instead of these funds you can use lemon juice, vinegar or a mixture of salt and detergent for dishes in equal parts. To use lemon juice or vinegar, apply one of the remedies on a cotton pad, wipe the place of contamination, wash the skin with soap and water, wash the fabric in the washing machine. To remove salt stains with a detergent for dishes, mix the ingredients in equal parts, apply to a cloth or RUB the place of dirt on the skin, wash the cloth or rinse the mixture from the skin with warm water. And the last option. 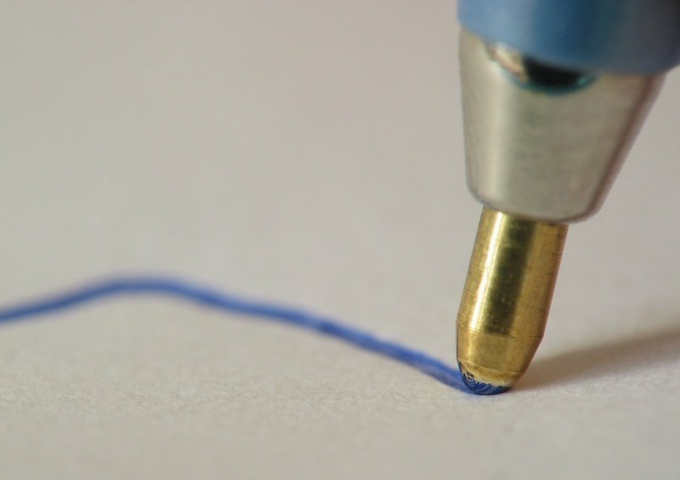 To remove contamination from a ballpoint pen, you can use acetone, thinner, gasoline, kerosene or white spirit. Any means apply to places dirt with a cotton pad, rinse off the skin with soap and water, wash the fabric in the washing machine.